It seems folks in Squeaky's neck of the woods are well... crazy. 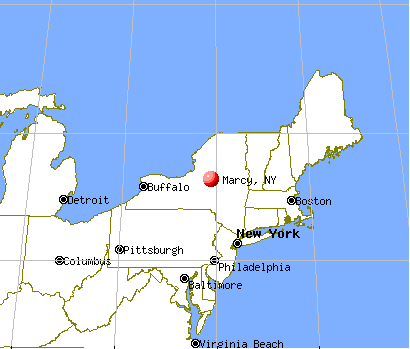 Marcy, NY – A 45-year-old man accused of chasing his neighbor and trapping her in her home while high on bath salts, was charged Monday with two felonies, Oneida County Sheriff deputies said. At about 7:30 a.m., Deputy Alicia Marconi was patrolling Stage Road in Marcy when a man covered in blood ran into the roadway. Several police units and an emergency medical services responded and the man, David C. Schrader, 45, of 6499 Stage Road, was taken to St. Elizabeth’s Hospital in Utica. Investigators found that just before running out into the road, Schrader had attempted to attack a female neighbor. As the neighbor was getting into her vehicle outside of her home to go to work, Schrader came running at her and jumped in, said Investigator David Nowakowski. The woman ran away and Schrader chased her into the garage. She got into the house and locked the door. Schrader attempted to break down the door with a broom, deputies said. He then fled from the garage running into the road in front of the deputy. Investigators said they found that Schrader had been using bath salts, a powerful illegal stimulant, prior to the incident and it appears that the attack was random. The only connection between Schrader and the woman is that they are neighbors, authorities said. The blood on Schrader was from superficial cuts that appeared to be self-inflicted, Nowakowski said, in a press release. Schrader was charged with felony second-degree burglary and felony third-degree attempted grand larceny. He was arraigned by a Utica City Court judge in the St. Elizabeth’s Hospital emergency room and when discharged will be sent to the Oneida County Correctional Facility in lieu of $25,000 bail. Submitted by Starship. Thanks Starship! Thanks Starship. I wonder if ole Squeakster has discovered the wonders of bath salts. LOL. Try this one on for size too. Great map Lyhyrd, I can see my house from there! That's so weird that people take this "drug" and go haywire. It's like one of those Zombie movies. LOL. Squeaky lives on Stage Rd, does she not? IDK, Katie. How do you know? Because that's what I read. These people just go nuts and start hurting/killing people. Like that movie...what was it..."The Happening"?